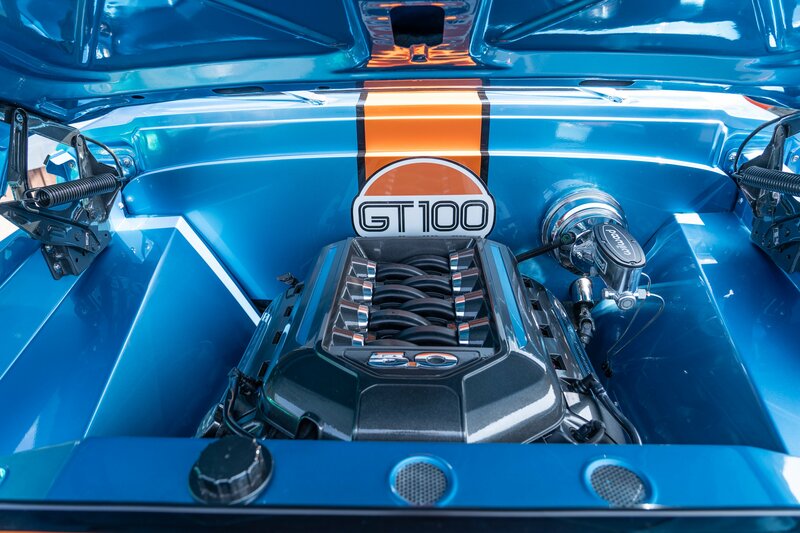 The Ford GT40 is one of the most interesting performance cars ever built. 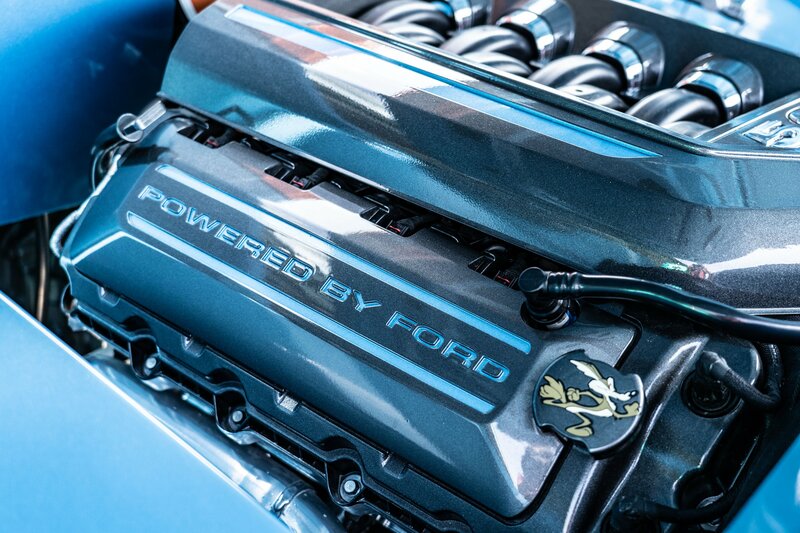 The uninitiated might assume it is an imported exotic, while others know that it’s one of the fastest cars that Ford ever built. 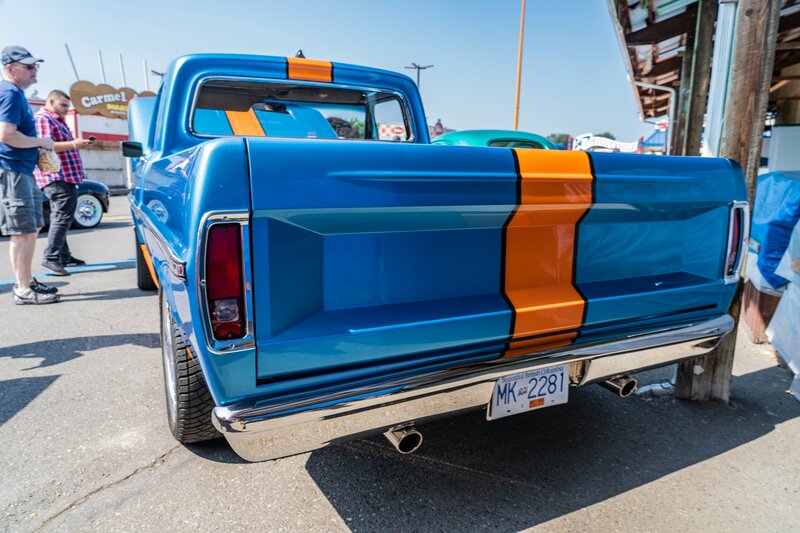 The modern Ford GT is a take on the classic through the lens of ultimate high-tech performance, while this 1968 Ford F100 pickup is a tribute to the era of what could have been if Ford created a LeMans support truck. 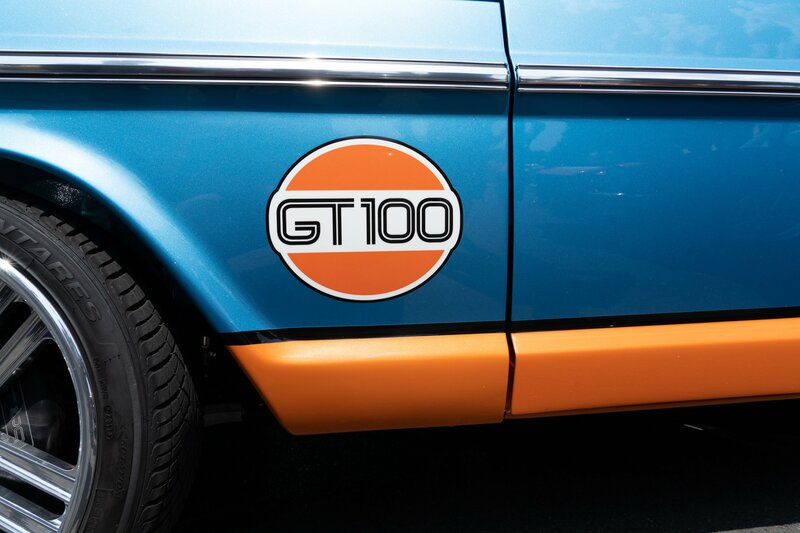 The paint is smooth as a mirror and the colors pop really well. It looks far better in person and pictures could really never do this truck justice! 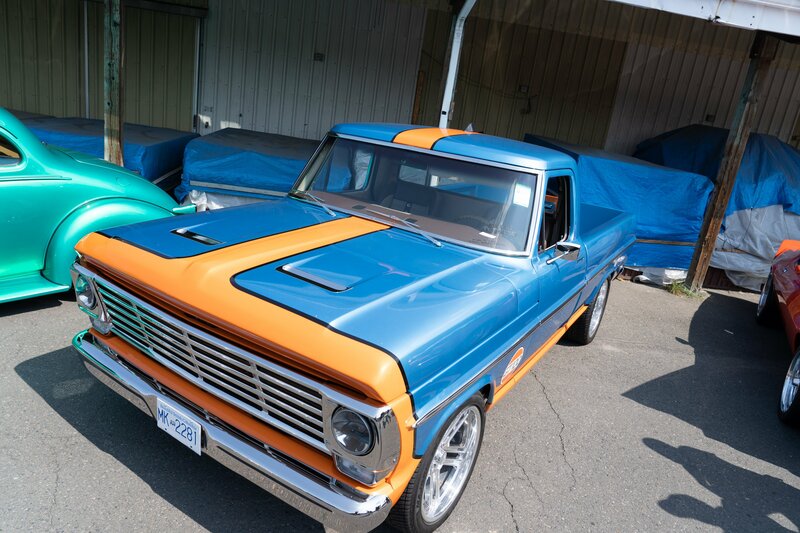 Pacific Muscle Cars of Kelowna, British Columbia, built his truck and the team there has more than 2,000 hours of work into it over the span of 18 months. It’s clear how much effort went into the truck and it looks absolutely amazing. 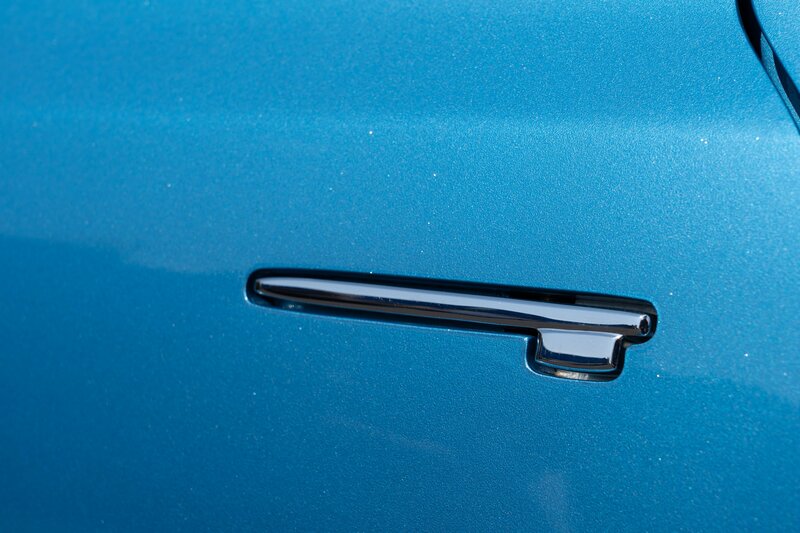 No detail was left untouched and no bolt left unturned. 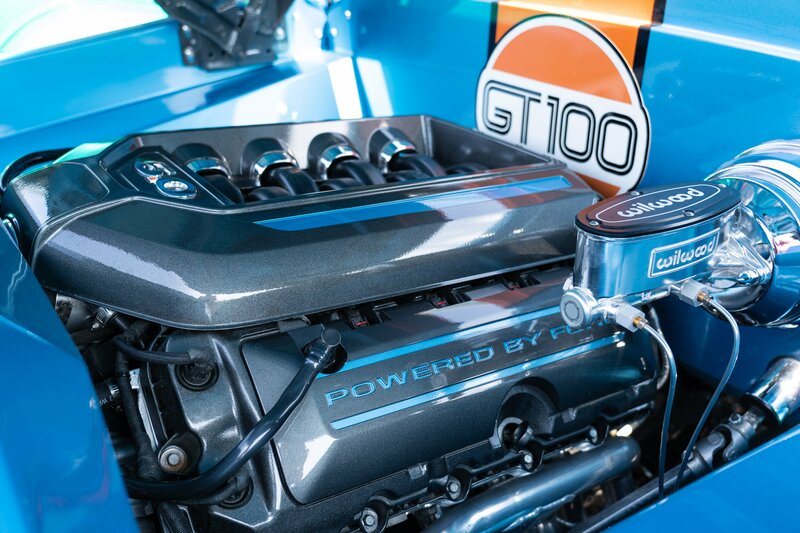 The 5.0-liter Coyote engine is really where this truck shines. It looks good, but it's also fast and tough as heck! Notice the Coyote illustration on the oil cap! The build is more than just for looks too. 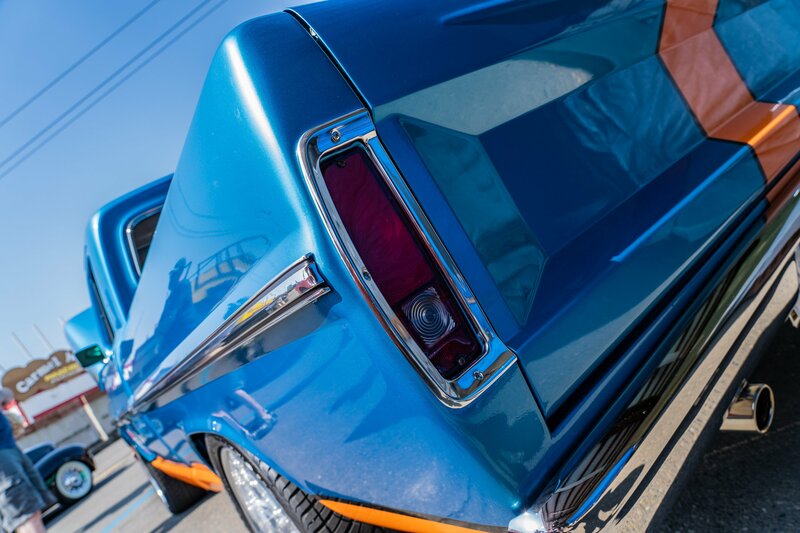 PMC went all out on the custom modifications and drivetrain for this pickup. 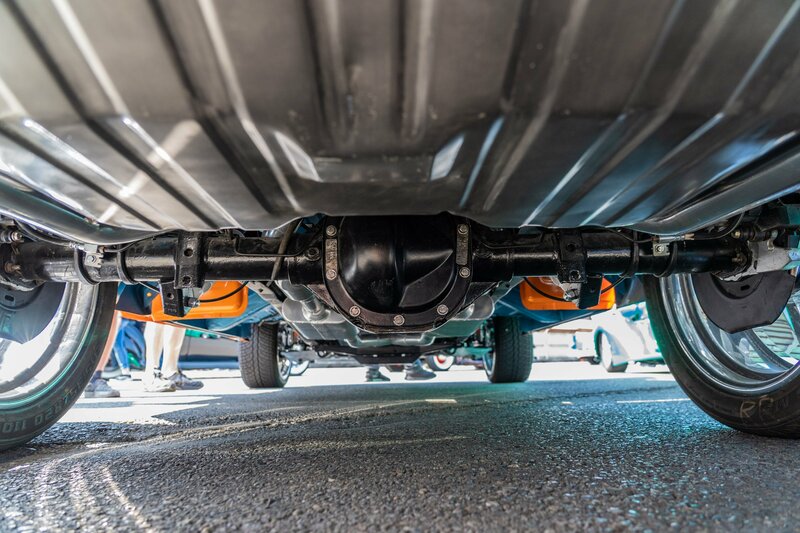 While the style is classic, the 5.0-liter Coyote engine and 4R70W overdrive transmission modernize the way it moves. The front clip is from a Crown Victoria and the rearend is a Ford Explorer 8.8-inch with 3.55 gears and a Traction-Lok differential. 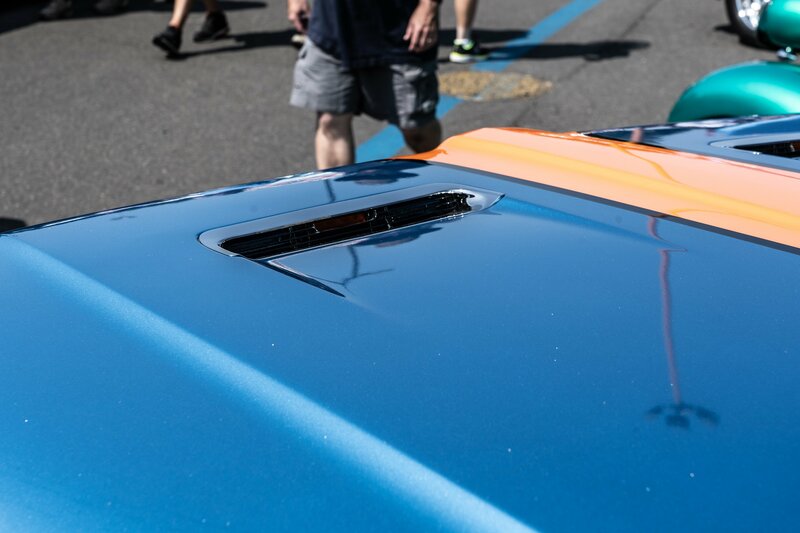 The vents are off of a ’67 Mustang, the drip rails have been shaved, PMC added a custom engine cover and custom radiator support cover, and they smoothed the firewall. They also shaved and tucked the bumpers, added Kindig pivoting door handles, and moved the fuel filler door into the bed. 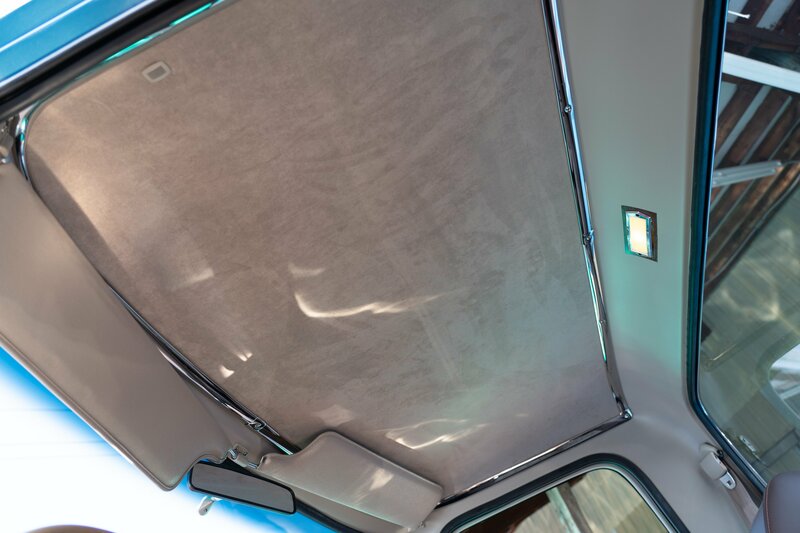 The custom features on the exterior of the truck are too many to pinpoint them all. Proving that no time or expense was spared on this build, the interior has been fully customized and is absolutely gorgeous. 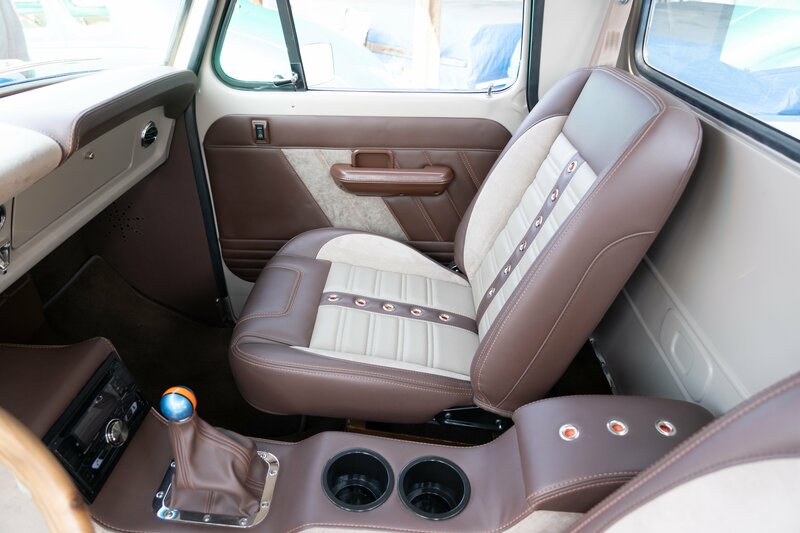 The upholstery is all hand-done custom work and the gauges have been upgraded to Dakota Digital. 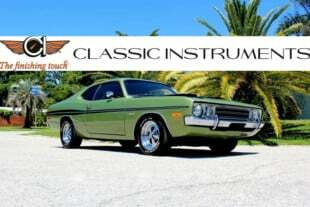 Vintage Air climate control has been added along with power locks, power windows, and a tilt steering column. 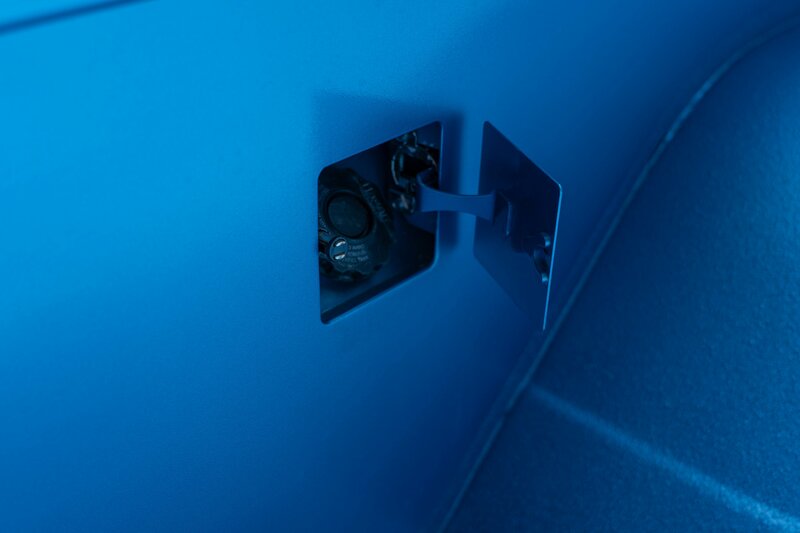 The custom console, headliner, and vinyl pad behind the seat really add to the interior of the truck. The Ford script in the back of the cab is a nice touch, and the tan colors of the upholstery go really well with the retro theme and the heritage colors on the truck. 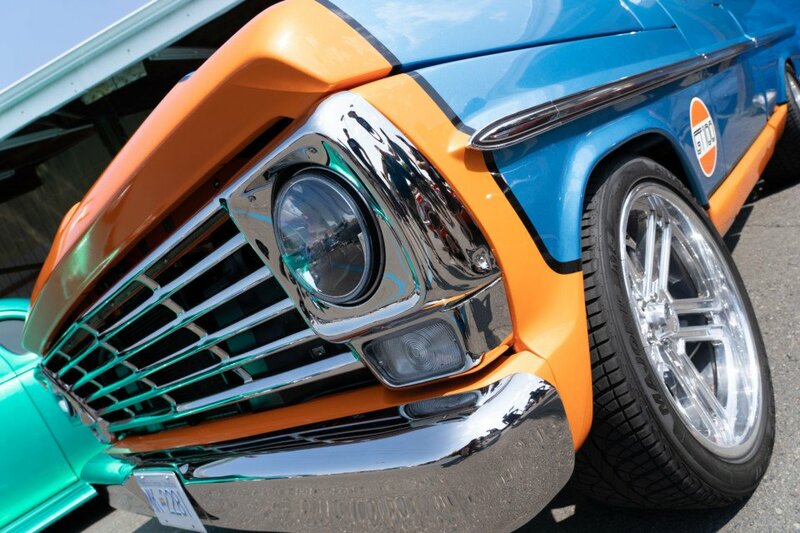 We love the theme behind the truck and the stellar custom build. 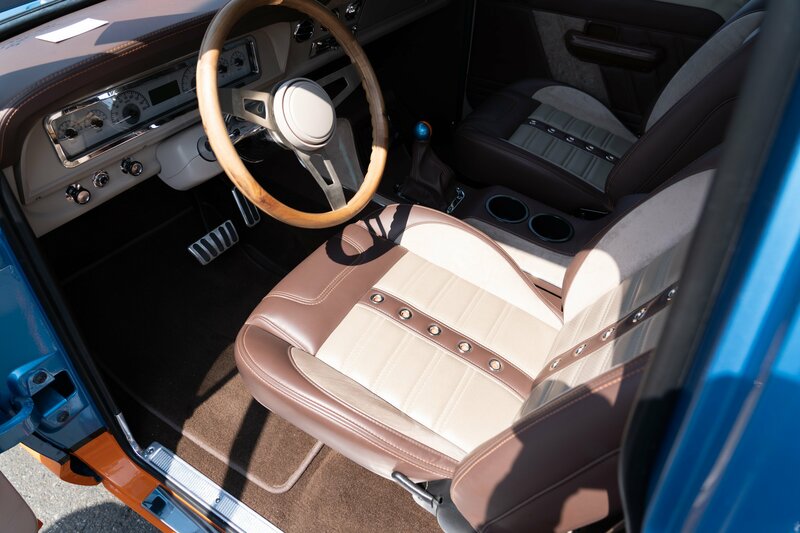 Everything about this says classic, but it’s performance and handling say modern, while the interior says comfort and luxury. 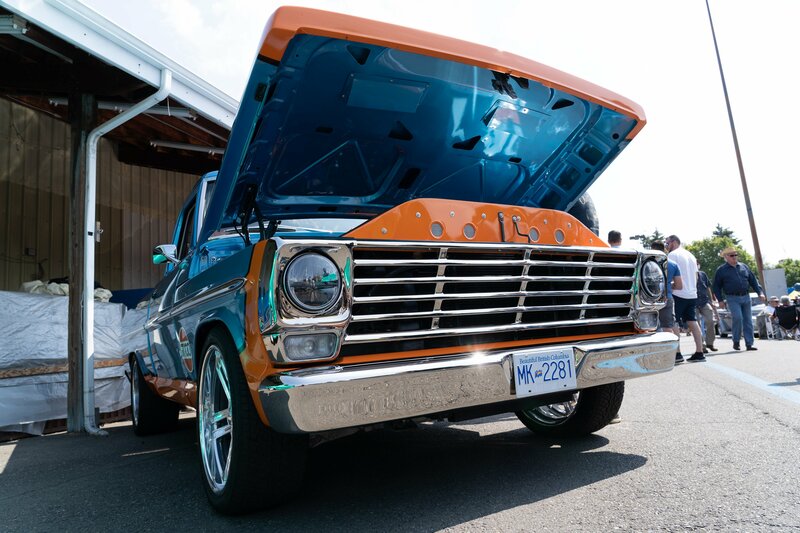 This truck really is the full package and would make the perfect cruising rig or show-winner.